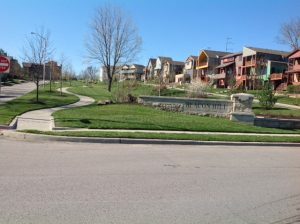 In the early 1900’s, the section of Beacon Hill Troost Avenue from 26th to 31st Street, was known as Millionaire’s Row. Residents at the time included George Kemper, founder of Commerce Bank, T. T. Crittenden, former Kansas City mayor and former Missouri governor, and George Peck, who owned Peck’s Department Store. Even as businesses left the Troost corridor, and white residents moved farther south, Beacon Hill still fared better than some other urban core neighborhoods in terms of blight and crime. The Beacon Hill Community Council, formed more than 40 years ago can be credited with helping to maintain a vital and vibrant community. As the neighborhood has changed over the years, the one thing that remains constant in Beacon Hill are its proud residents. The neighborhood currently includes a diverse mix of new residents and established families who have lived in Beacon Hill for several generations. Prominent African-American educators, ministers, attorneys and business owners have lived, and continue to live in Beacon Hill. The northwest corridor of Beacon Hill has experienced a renaissance of contemporary architecture generated by a focus of city resources. Parts of Beacon Hill have new structures integrated among beautiful older homes. Since the early 2000s, the northwest corridor of Beacon Hill has undergone a transformation with an influx of new and renovated homes along Tracy and Forest Avenues and West Paseo Boulevard. Spectacular views of downtown Kansas City and access to its many amenities make it particularly attractive to investment.